At Southampton Spire there is a spacious outpatient clinic waiting area, which is next to the office, non-invasive test room and consulting rooms. Complimentary refreshments including tea and coffee and a selection of magazines and papers are available whilst waiting. 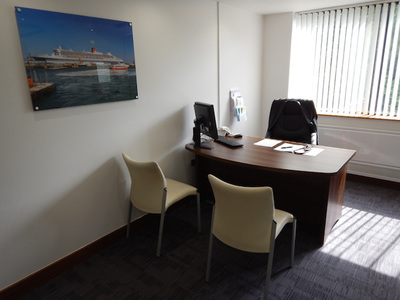 At Southampton Spire we have large quiet and spacious consulting rooms for our private cardiology consultations. Photos of Southampton Spire can be seen below. 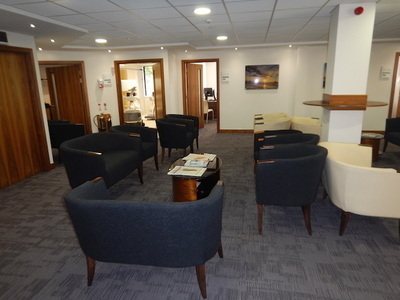 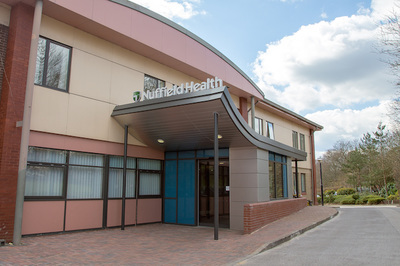 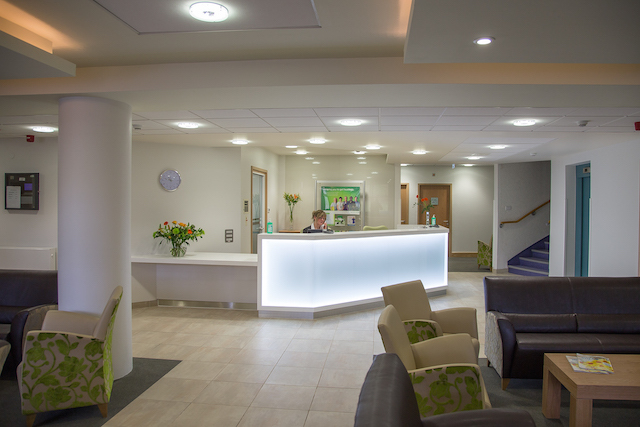 Patients can also be seen at the Nuffield hospital, which similarly has spacious relaxed outpatient waiting areas and clinic rooms, as can be seen in the photos below. This has two echo machines, a treadmill for stress echos and facilities to fit heart rhythm and blood pressure monitors. Out patient appointments are not only available at Spire Hospital Southampton. 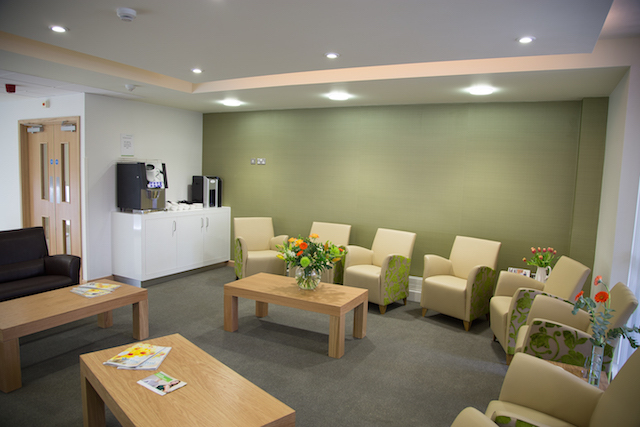 We provide satellite clinics at Lymington, Nuffield Chandlers Ford and at Sarum Road Winchester. 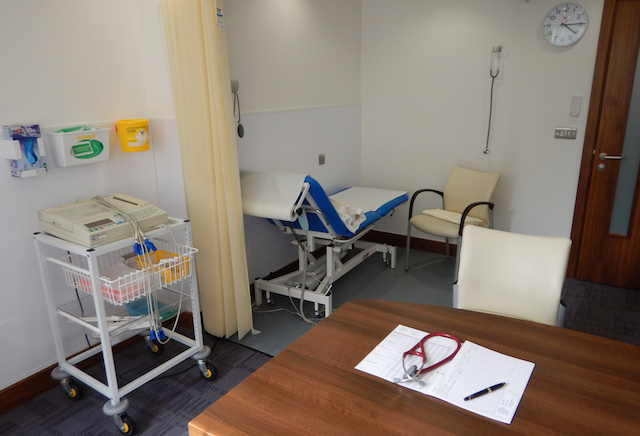 You may be seen by prior arrangement at any of these clinics. 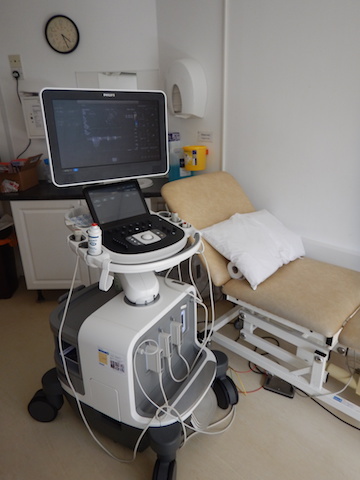 The facilities to do ECGs and Echocardiograms are available at all of these clinics. 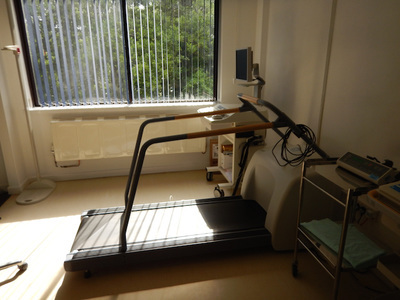 all other tests need to be done at Spire Hospital Southampton.